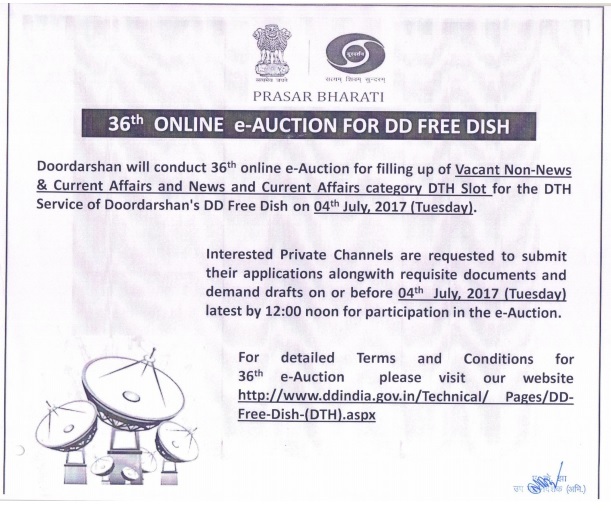 Doordarshan will conduct 36th online e-auction for filling up of vacant slot of DTH for the DD FREE DISH DTH service of Doordarshan's on 04th July, 2017. Here is DTH SLOT price category wise. The Reserve Price per News and current affairs category is Rs 6.50 crore. The Reservce Price per Non-news and current affairs category is Rs 8.00 crore. Interested private TV channels can take part in this e-auction. 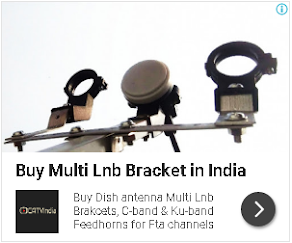 The successful Channel is required to arrange their own IRD Box in advance to place their Channel on DD Free dish platform. for more information visit Doordarsha's official website.